When Nahum is read carelessly or superficially it is thought to be a crass nationalistic blast from a blind patriot. Many have accused the prophet of such blindness. And the church down through the years has not heard the word either because Nahum is left out of lectionary readings. But Nahum is not nationalistic pride. 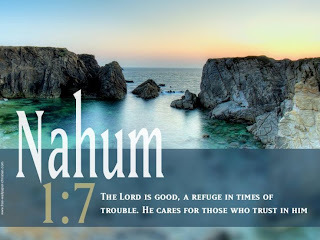 Nahum is a celebration of the goodness of God’s wrath. God’s wrath is good news because it means, finally, salvation for Israel! God’s judgment means deliverance from oppression. 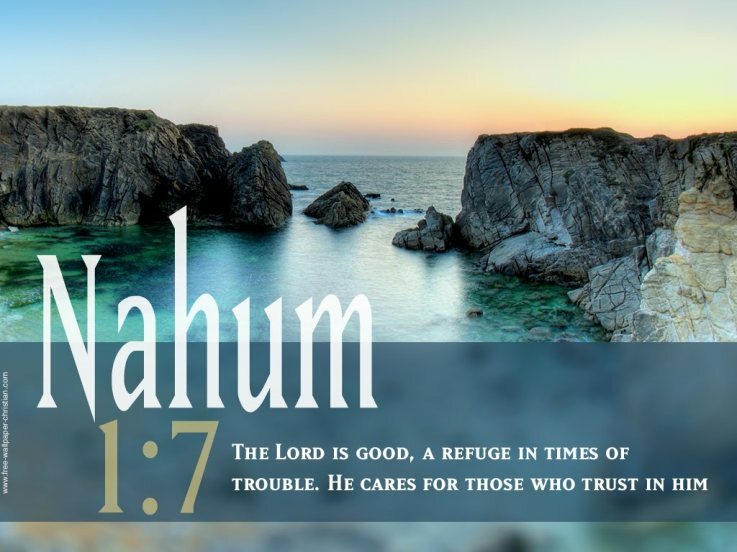 Nahum is the assurance that evil will be dealt with by a just and patient God. Nahum opens with a magnificent hymn (his poetry is among the most exquisite in the Bible). This hymn is a rich testimony to the covenantal character of Yahweh and needs to be read as such. Here we have a testimony to his love and patient mercy; his protection of his people and of his final defeat of evil in this world. Nahum opens up his hymn with a statement that God is a “jealous” (Heb. quanno) God. This word is deeply rooted in covenantal theology and has nothing to do with pettiness or self-centeredness. Indeed the word can also be translated as “zealous” and this just may be a better rendering. God is “zealous” for his people, he is “protective” of that which is his. His protective zeal for his people is rooted in the covenant of promise and love. The Assyrians have declared war on God’s people and have thus declared war on Yahweh himself. The confession of Israel, and Nahum, is that Yahweh is an incredibly gracious and patient God. (For more on this foundational “creed” of Israel see Here: “The Gracious and Compassionate God“) And to the Israelite surely it seemed as though it took “forever” for Yahweh to “not leave guilty Assyrian unpunished!” These Assyrians had, since the accession of Tiglath-pileser III (745-727 BCE) terrorized the People of God. From 736 to 722/1 the Assyrians had systematically decimated the northern tribes of Israel deporting them to be, for all intents and purposes, lost from history. During Hezekiah’s day the Assyrians had gone through Judah with impunity and destroyed forty-six cities and “shut up Hezekiah in Jerusalem like a caged bird.” Under Manasseh (687-642) the Assyrians even had their gods placed in the temple. Yes, indeed, Yahweh has been “slow to anger.” This is part of his strength. Yet as Martin Luther once wrote, “It is a weakness of ours that we want the Lord to take vengeance right now.” But God is “slow to anger” because he is “mighty in power” and rich in grace … even for the hated Assyrians (see Jonah). In Nahum it is God who is the avenger and protector. Nothing in Nahum suggests that any Israelite ever so much as lifted a hand in anger against Assyria. Thus Nahum knows nothing of a nationalistic militarism. It is not a call to arms but a call to faith in the goodness and faithfulness of God. Nahum is the “gospel of peace” because Yahweh will deal with his enemies (cf. 1.15). Nahum believes the creed and sings the hymn! God is gracious and slow to anger. But the Lord is good and “cares for those who trust in him.” God’s goodness is seen in that he deals with evil and oppression. The enemy has “plotted against the LORD” (vv. 9, 11b) and has “devised evil” thus Yahweh has come to set his people free once again. This is the message of Nahum. God is coming. Evil’s days are numbered. At this very moment it is on the ropes. What a refreshing and liberating message. It is why Nahum celebrates the wrath of God. God’s wrath means destruction of evil. It is always Good News for his people. What God promises through Nahum … Jesus Christ did in and through the Cross. This entry was posted on Monday, July 30th, 2007 at 11:42 pm	and is filed under Christian hope, Exegesis, Hebrew Bible, Hermeneutics, Ministry, Nahum, Preaching, War -Peace. You can follow any responses to this entry through the RSS 2.0 feed. You can leave a response, or trackback from your own site. You are the only one I know who can bring a refreshing and new approach to the wrath of God. What an excellent point. Thanks for bringing it up. As an aside: There is a minister in Tennessee who is starting a site for conversation among various parts of the Restoration Movement in an effort to promote understanding among the branches. The site is connnect4change.net . They are requesting personal profiles to get the conversation started. I thought you might want to be a part of something like that. The WW2 analogy brings Nahum’s picture of the wrath of God alive and in its proper context. Thanks for sharing with us. Thanks for an excellent summary. The thought of God’s judgment is comforting to those who are washed in the blood of the lamb and who hate every evil way. Your post brought that out. Hey, I just finished a term paper on the unity in the churches of Christ. I would really like to have you read it and gain your thoughts on it. If you would not mind, let me know. Ahhhh! That was simply wonderful. Excellent exegesis and Spirit-led writing. You brought Nahum to life here in a very simple and contemporary way. Once more- thanks for sharing your gift of scholarship! Matthew just send me your paper at stonedcampbell@yahoo.com and I will be glad to take a look at it. Nahum has a Revelation like feel to his book. Being an Elkoshite, was he a precursor of the modern day Elks? It seems ironic that his Hebrew name means “comfort” yet he brings such a message of judgment. Steve, It would seem one’s perspective would indicate whether or not the meaning of Nahum’s name would be comforting. If you are oppressed by evil ones in this life, his message of doom to your oppressors would be comforting. If you are an oppressor it would not. Praise God that He will deal with evil once and for all.